Are you in need of mentorship or do you want to give back by mentoring? If so, the CWBA LIFT Mentorship Program is for you. 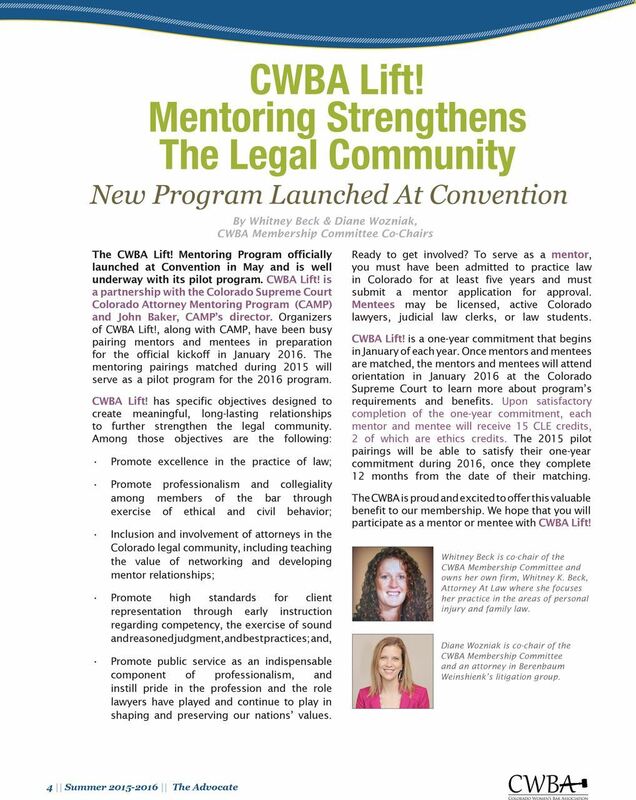 The CWBA and its Professional Advancement Committee members are excited to announce a second roll-out of CWBA LIFT, the CWBA's mentoring program and partnership with the Colorado Attorney Mentoring Program (CAMP). The Professional Advancement Committee has been hard at work making some important changes and updates to our mentorship track, and we are excited to share this program with you! Participating in CWBA LIFT offers you a unique opportunity to engage with a CWBA member in a mentorship experience geared toward women lawyers. Please take a look at our newly revised curriculum online here. It has been revised specifically to meet the needs of women lawyers. Sign up is simple. Apply here to be a mentee. Apply here to be a mentor. If you would like to be both a mentor and a mentee, please complete both applications. 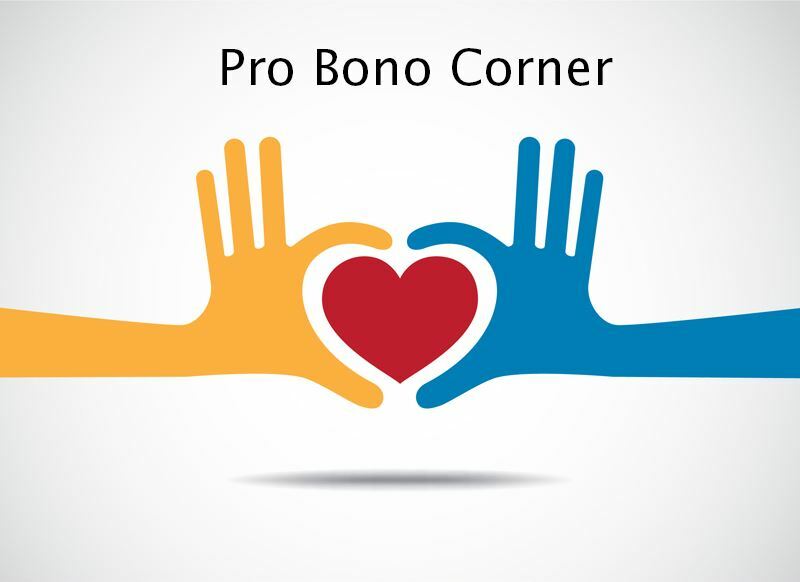 Mentors can earn 9 general, 2 ethics CLE credits when completed within one year. Click here to read our LIFT FAQs. 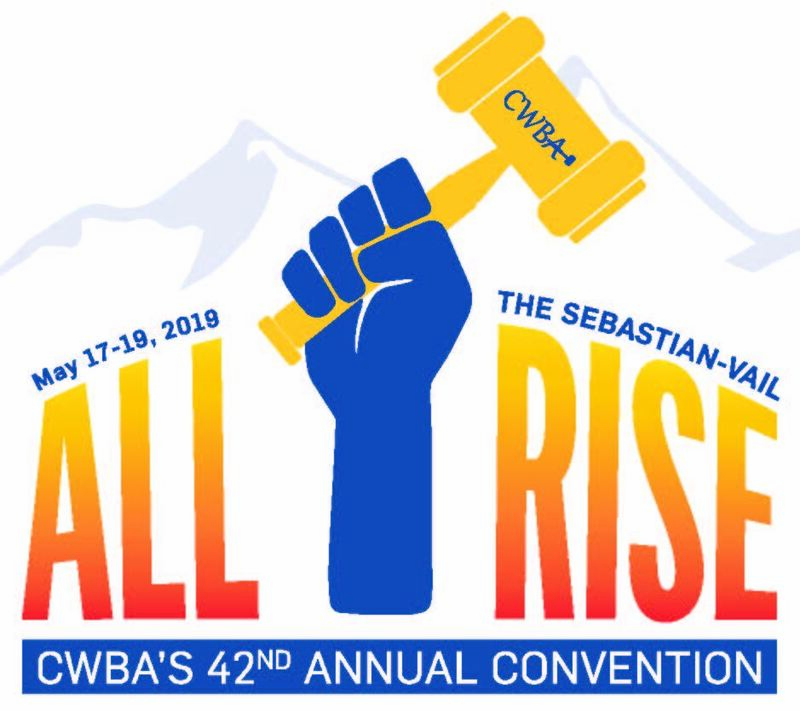 Mentor/mentee pairs will receive monthly support from the CWBA. In addition, LIFT members will have the opportunity to forge relationships with other LIFT members beyond their mentor/mentee pairing with invitations to events exclusively for LIFT program members. 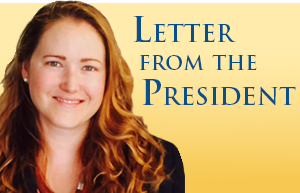 We need your participation to make this a true success, so please join us in this great and unique membership benefit. Read more about our initial launch of CWBA LIFT in 2015.